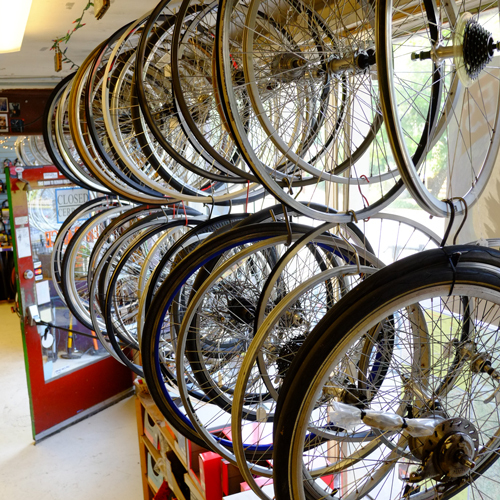 We stock variety of used wheels. There are many different configurations and sizes, and we’d be more than happy to find the correct wheel for you. Please bring your bike if you do not know which wheel size you need. Visit us at 1914 SE Ankeny St. for your used wheel needs.